Around 200 companies from Azerbaijan, Germany, Israel, Russia, Turkey, USA and other countries have already confirmed they will be exhibiting at Bakutel 2016. 40% of exhibitors are regular exhibitors. 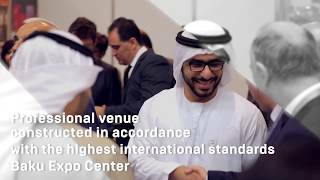 Among exhibitors are leading ICT companies, mobile operators, communications operators, internet providers, system integrators, and distributors of well-known brands. The exhibition features national stands from a number of countries, actively supported by the Ministry of Communications and High Technologies of the Republic of Azerbaijan. The registration sponsor of the Exhibition is the permanent participant of Bakutel – Azerfon.